IBM uses Design Thinking as a framework for helping cross-functional teams deliver human-centered experiences. We start by bringing together a series of traditional design techniques, such as personas, empathy maps, as-is scenarios, design ideation, and minimum viable product (MVP) definition. Product teams within IBM use a blend of Design Thinking and Agile methodologies. 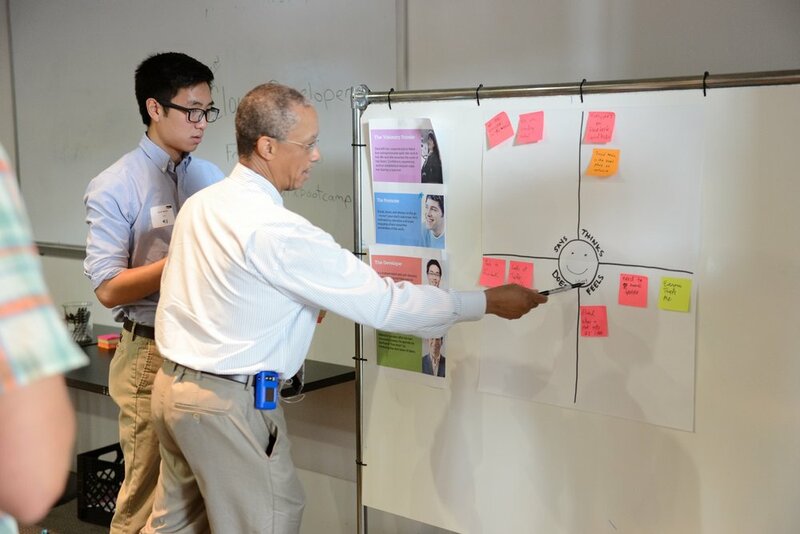 During my time at IBM, I had the opportunity to facilitate various Design Thinking workshops across both my product team and the greater population at IBM. This includes planning & organizing the workshops, guiding teams through design thinking exercises, then synthesizing the outcomes we arrived at. Many IBM products are used to help everyday people get their jobs done. This is why it’s crucial shift the conversation from features and functions to users and outcomes. We encourage workshop attendees to think outside the traditional box of what we know about IBM technology, and explore blue sky solutions. We rely on the strength of our teams in order to solve the complex problems we see at IBM and generate value for our users and clients. During my time as a designer on the IBM Cloud Platform (Bluemix), I had the opportunity to travel to Beijing and run a workshop with our Engineering partners. A few colleagues and myself ran an hour long workshop with middle and high school students. 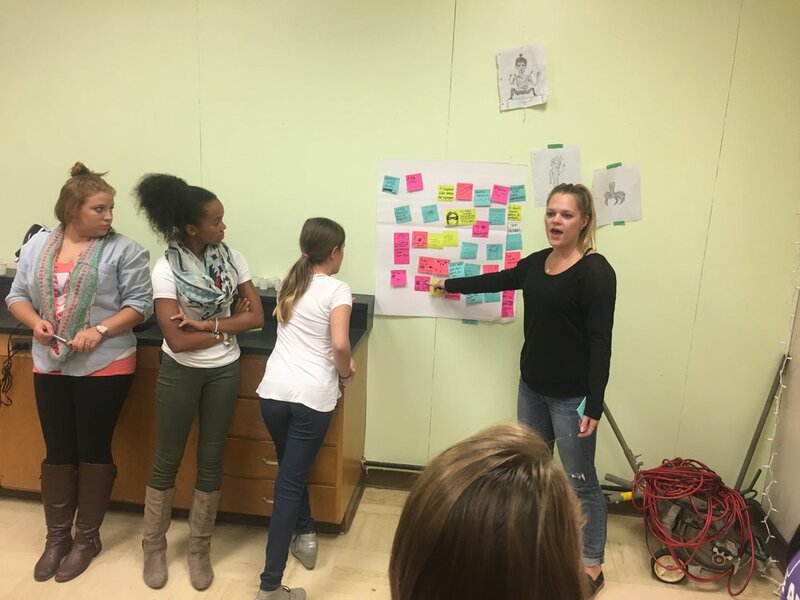 We taught this group of bright young women that Design Thinking can be used outside of our day to day jobs, and talked about the importance of having empathy for others.